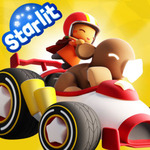 Welcome to the ride of your life with the heroes from Starlit Adventures: Bo and Kikki! 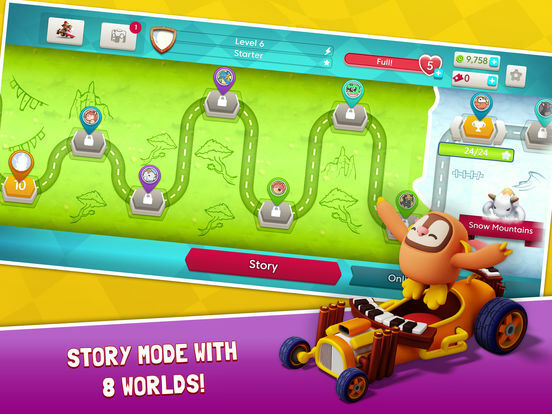 Help Bo and Kikki on a thrilling chase to recover the stars that the villain Nuru has stolen to power his magical motor. 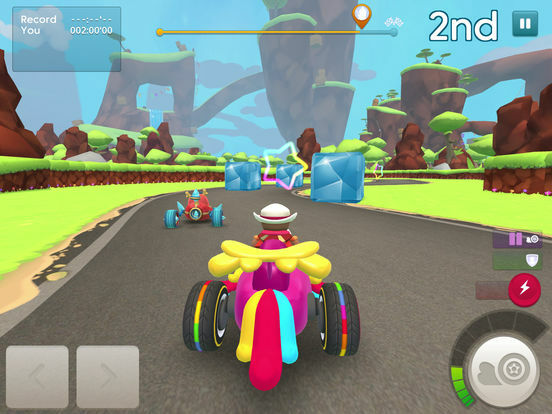 During this exciting journey you'll confront breathtaking tracks and obstacles, and be challenged by enemies and creatures from the Starlit universe in championships full of fun and adventure. 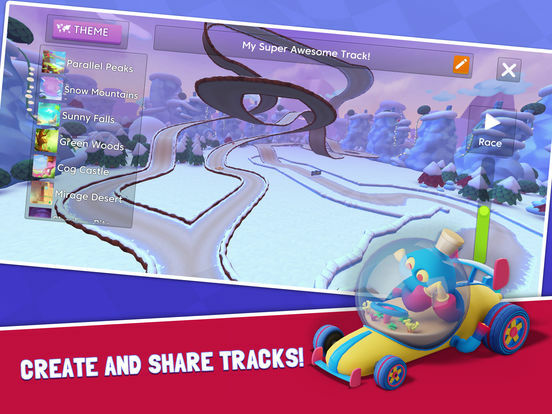 Along the way, you'll drive remarkable cars with special powers. 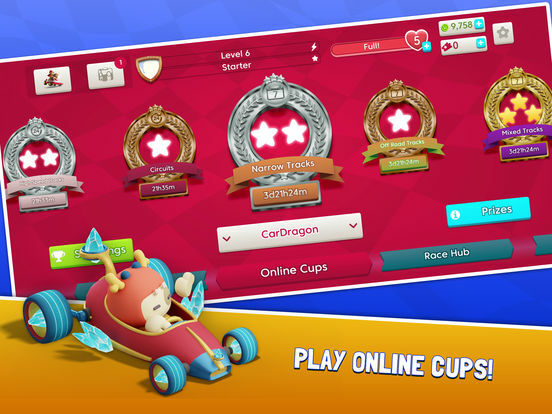 While you enjoy this journey to save your friends, you'll upgrade your cars, collect rewards, assemble a trophy room and create your own tracks that other players can race and evaluate! 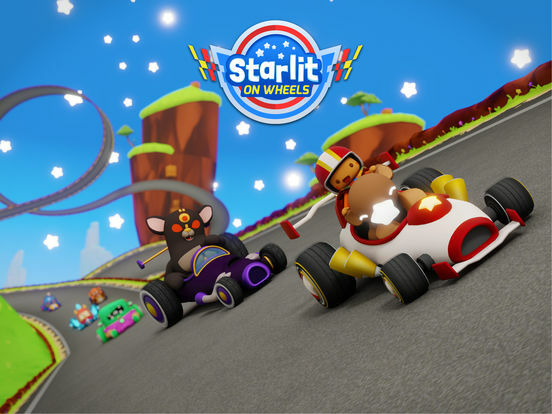 If you're looking for an arcade racing game that's more on the cute side than the realistic, intense and gritty, Starlit on Wheels is the perfect choice, no matter if you're 5 or 55. Or 70. Or 90. Drive on!